The immigration debate goes beyond the headlines. Amy Bhatt, associate professor of gender & women’s studies at the University of Maryland, Baltimore County, explores another side of the story. Dr. Amy Bhatt is Associate Professor of Gender and Women’s Studies, Affiliate Assistant Professor in the Language, Literacy and Culture Program and the Asian Studies Program at the University of Maryland, Baltimore County (UMBC). She received her PhD in Feminist Studies from the University of Washington in Seattle, WA. Her research focuses on the effects of migration on gender and families, social reproduction, and South Asian community formation. Her most recent book High-Tech Housewives: Indian IT Workers, Gendered Labor, and Transmigration(University of Washington Press, 2018) explores how ideas about gender and the family are transformed and reinforced through transnational and circulating migration, using the case of Indian H-1B and H-4 visa holders. In addition to her research on transnational migration, she is also interested in South Asian community formation and activism. 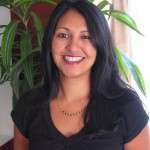 She is the co-author of the book Roots and Reflections: South Asians in the Pacific Northwest (University of Washington Press, 2013) with Nalini Iyer, the former oral historian for the South Asian Oral History Project, and the co-chair of the South Asian American Digital Archive’s Academic Council. Dr. Bhatt teaches both introductory and senior level core courses for Gender and Women’s Studies, as well as courses in gender and globalization and South Asia, which serve GWST, Asian Studies, and Global Studies. We are witnessing a radical transformation of our country’s immigration system. While undocumented immigration and family separation has been at the forefront, there also have been changes to programs that impact high-skilled workers and their families. I focus on the H-1B specialty occupation visa program, which is used in technology, finance, education and healthcare. Although the H-1B is a temporary visa, it allows workers to migrate with their spouses and children and to apply for permanent residency. In 2017, nearly 180,000 H-1B visas and more than 136,000 H-4 dependent visas were issued. As my research has shown, dependents of H-1B visa holders cannot work, apply for a social security number, or in some states, even a driver’s license on their own. In 2015, the Obama administration allowed some dependent spouses to apply for work authorization. This enabled over 100,000 spouses, who are mostly women, to start working legally. In early 2018, however, the USCIS announced their intention to rescind this rule, effectively pushing many women back home. Additionally, because of long delays in processing permanent residency applications for H-1B visa holders from India and China, in particular, many families are waiting 10 years on average for their green cards. Experts estimate that recently arrived Indians could wait up to 70 years before becoming permanent residents. As a result, some children of H-1B workers are “aging out” of the program. Once they turn 21, children are no longer eligible to stay on their parent’s visas. Even if they switch to student visas, there is no guarantee they will find a pathway to residency after graduation and many face deportation. My research shows that these challenges are pushing many high-skilled families out of the country. Immigration relief is sorely needed for all families who face being split apart while they wait for a chance to live out their American dream.